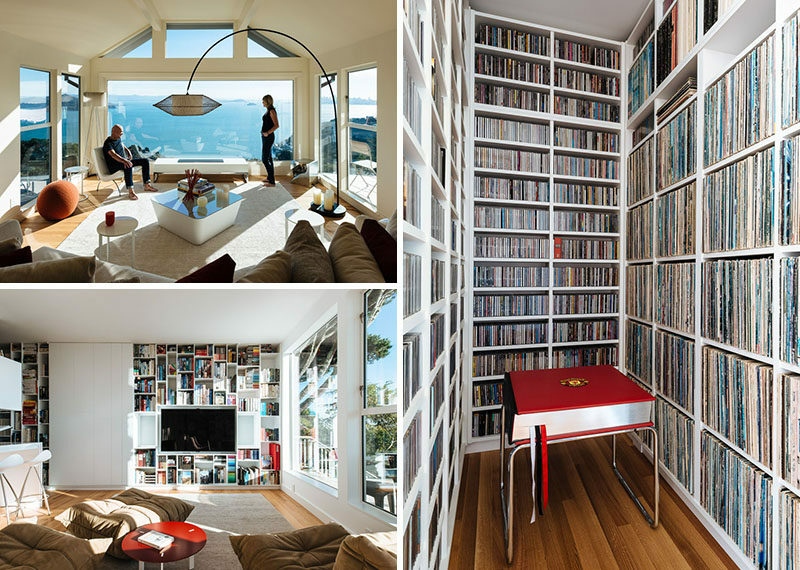 Feldman Architecture were asked by their clients to redesign a 70’s era home with panoramic views of the San Francisco Bay, and transform the property into a place to appreciate their collections of vinyl records, design books, and vintage Coca-Cola bottles, while enjoying the ever-changing view. A living room is located at the top of the house, which has a large picture window that perfectly frames the water view. Wood stairs connect the different floors of the home, and at the bottom of the stairs, is a small area with a couple of turntables. This floor of the home is filled with shelving and an open floor plan that takes advantage of the view. On one wall, floor-to-ceiling shelving has been added and the television when not in use, is hidden behind sliding white panels. On another wall is a bar area with a couple of drink fridges and cabinets for storage. 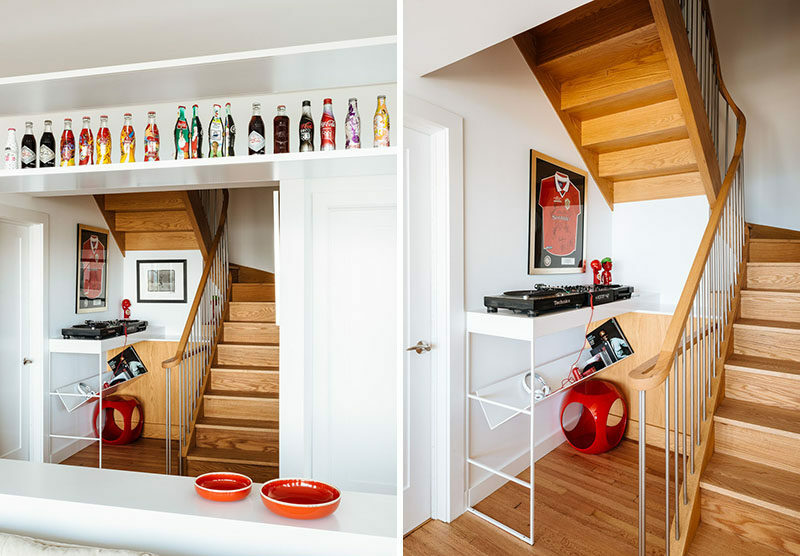 The home owners Coca-Cola bottle collection sits on top of the cabinets and stands out against the white walls. 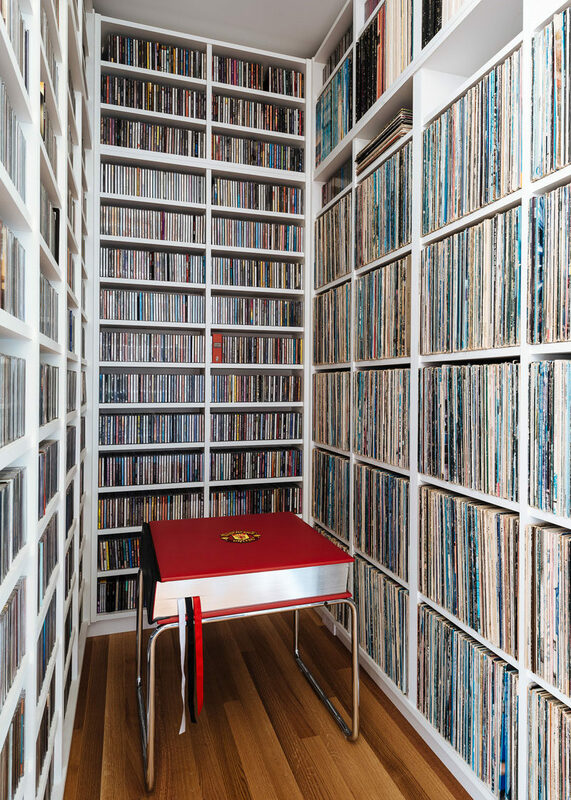 Next to the bar is a small alcove that’s been custom designed to become a home for their extensive record collection. 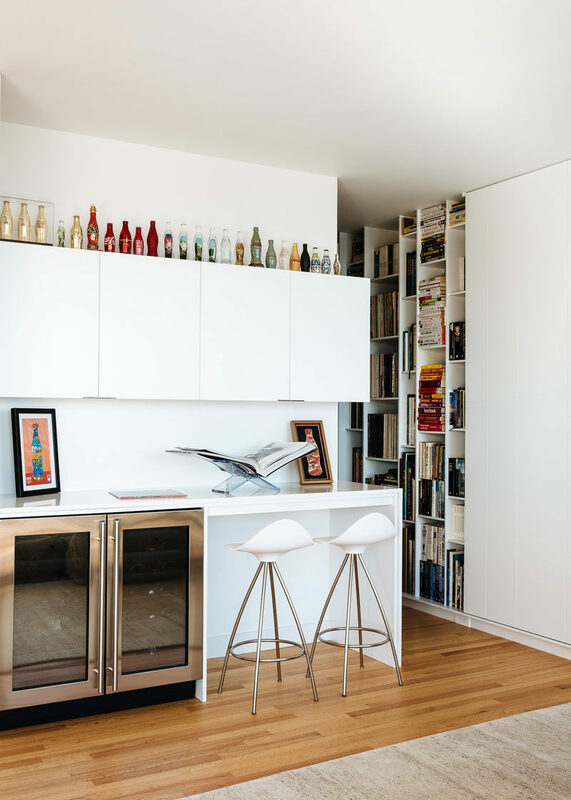 On the other of the open plan room is another floor-to-ceiling bookshelf that measures in at 9 feet tall and has asymmetrical compartments so every item has a place of significance. Sitting beside this bookshelf is another living space with doors that open to a balcony. 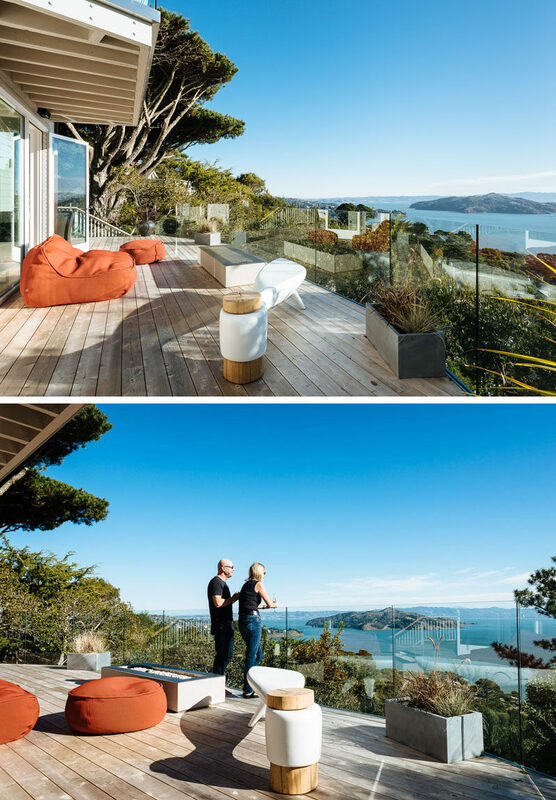 Outside, the balcony provides some outdoor space for the home, and glass railings have been used to create a seamless view. Back inside, there’s also a home office that’s been designed with the desk in the middle of the room, while cabinets line the lower half of the wall.